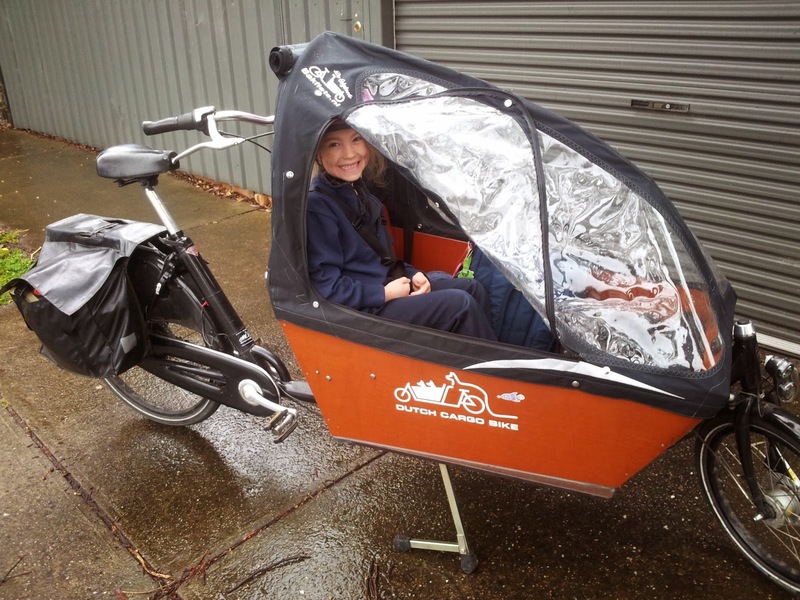 A few weeks ago we got a new weather cover for our bakfiets from the guys at Dutch Cargo Bike. 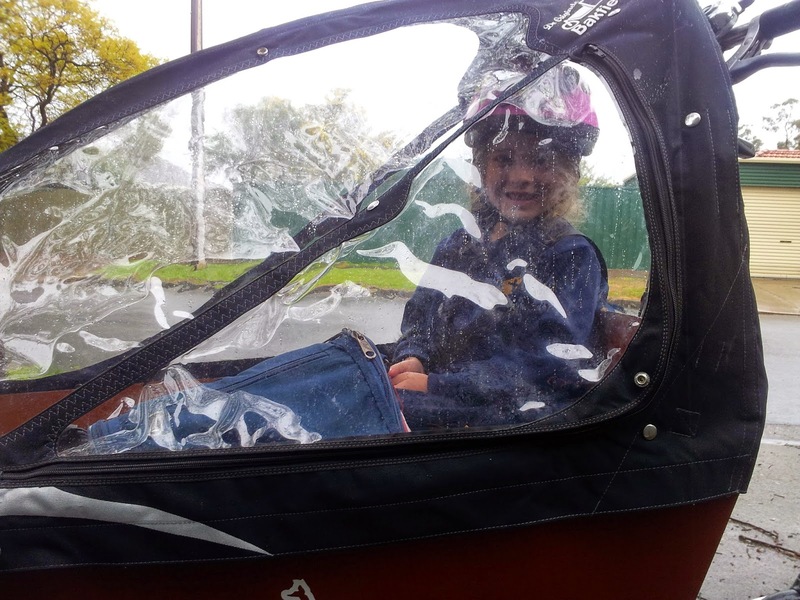 The old one was too low for our daughter to fit under comfortably with a helmet. This isn't surprising, since in the Netherlands you don't have to wear a helmet, saving 5cm - 10cm of height requirement for the cover by the time you factor the extra height of the helmet at the outside edge. The other really nice thing about the new cover is that it has zip-open windows on both sides. The kids like being able to have fresh air if it isn't raining too hard. 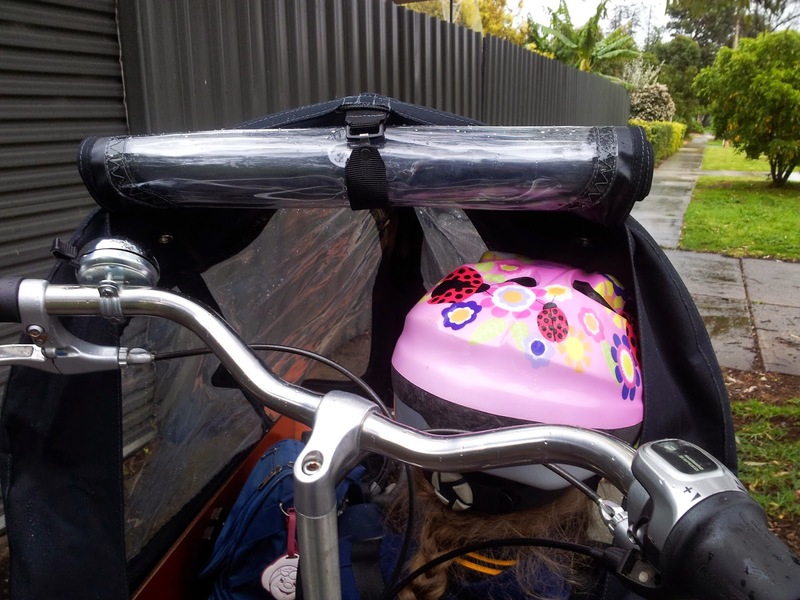 Also, the windows are big enough that you can fairly easily lift kids and luggage in and out through them, without having to remove the weather cover from the bike. The only negative compared to the old model is that the back cover (seen rolled up in these images) doesn't seal as well as the old one. This means that if you leave your bike parked in the rain when it is windy, you will end up with water getting in, unless you have the presence of mind to part the bike facing into the wind. Despite this small issue, the new cover is miles better than the old one, especially if your kids are over 4 years of age.